Similarly, Pure Trickstar, ever the third-best strategy, is still a reasonable play consideration. It makes up for its lack of archetypal playables with a suite of the best trap cards in the format. At a time when trap cards are at a premium and mid-development Gouki boards are weak to Torrential Tribute, there’s a real argument to be playing with purple. Trickstar (including Sky Striker variants) currently occupies the top position in Tier 1 based on their results YCS Secaucus. It is unlikely further results will dethrone it from this position. As for Pure Trickstars, they also occupy a tier 1 spot, though they might eventually be completely replaced by their Sky Striker variant. 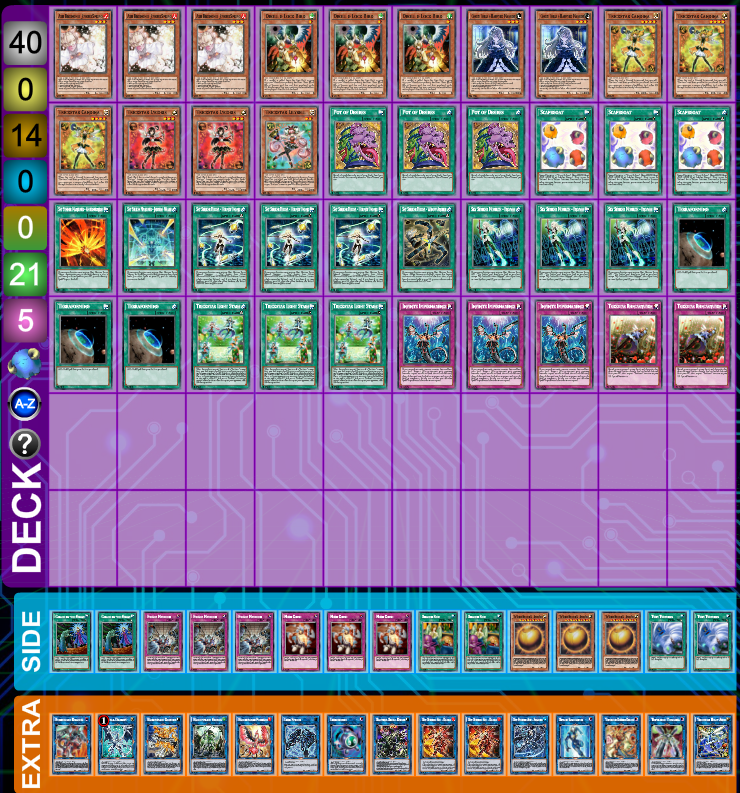 This is Koty Angeloff’s 1st place Sky Striker Trickstar decklist from YCS Secaucus. Deck space in this strategy is extremely tight, hence the few Trickstar Lycoris and Trickstar Reincarnation. Because you’re aiming to be as proactive as possible, Koty elected not to max out either of these searchable cards. The exciting tech for this deck is the Saryuja Skull Dread, which is able to draw four cards using only a single Sky Striker Mecha – Hornet Drones and a Trickstar Candina. Mind Crush is also a spicy inclusion, primarily to hit errant copies of Trickstar Candina in the Trickstar matchup. Of final note is that in Koty’s deck profile (hosted on Top4Tier Gaming) he explains that the Ghost Belle & Haunted Mainsions underperformed and would be much better as anything else. This is Anthony Sciulli‘s Top 16 Pure Trickstar decklist from YCS Secaucus. This pure build of Trickstar is meant to simplify the gamestate as much as possible. Anthony Sciulli explains in his deck profile (hosted on dzeeff’s YouTube channel) that this specific build is meant to counter a field of mostly Gouki. Because of this, the handtrap lineup is extremely targeted and often lackluster. In the future, he claims he would likely cut copies of Ghost Ogre & Snow Rabbit, Ghost Reaper & Winter Cherries, and Ghost Belle & Haunted Mansion for better answers to the mirror. When building Trickstar, your first consideration is obviously whether you will supplement the 13-card engine with Sky Strikers. Sky Striker does a miraculous job of mitigating Trickstar’s weaknesses. Their previous problem with large monsters is completely nullified by the availability of the Sky Striker removal spells. Their occasional bricks due to their small engine are much less likely with the proactive Sky Striker searchers. 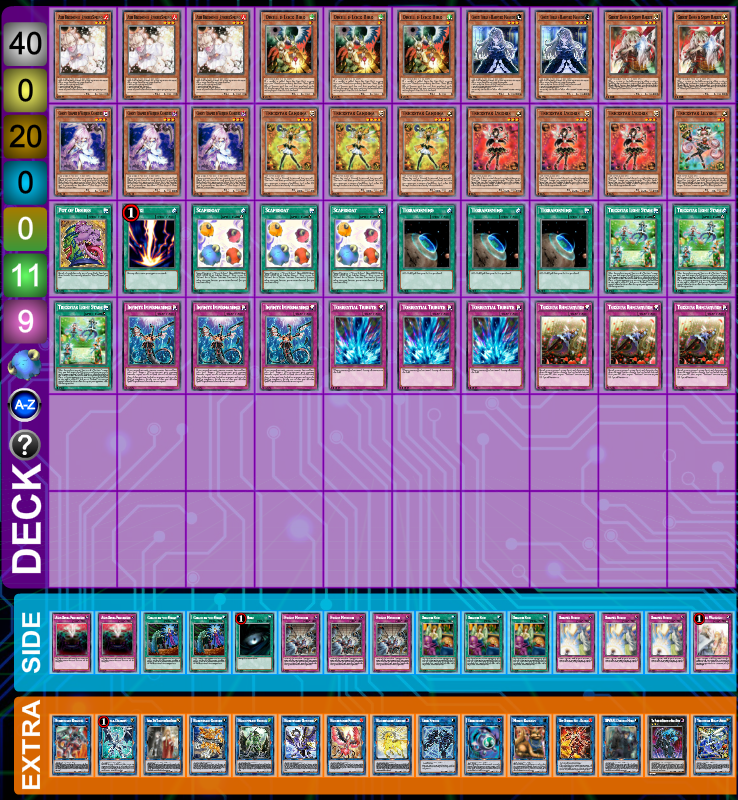 Recurring Sky Striker Mecha – Hornet Drones occasionally steals games by assembling the infamous Firewall Dragon Trickstar OTK. There’s a lot to be said for this strategy, which accounted for half of the Top 32 at YCS Secaucus. If you’re not playing Sky Strikers, you’re playing as many traps and handtraps as you can cram into 40 cards. Since your gameplan is to simplify the boardstate as much as possible so your reasonable-sized beaters can edge out your opponent, cards like Torrential Tribute are a must to anyone looking to play pure. Infinite Impermanence does double duty as a trap and handtrap, and with enough space open, you can even include Ghost Reaper & Winter Cherries in the mainboard to stop Gouki dead in its tracks. Matches play strikingly differently (get it?) based on the build of deck you’re playing. As a result, each paragraph will offer advice for a different build of the deck. Sky Striker Trickstar is the beatdown deck when playing against Pure Trickstar. With a much more robust suite of startup spells, they’ll be able to reliably set up monsters to protect their life points from incidental Trickstar Candina damage on the play, and won’t banish critical combo pieces to Trickstar Reincarnation on the draw. 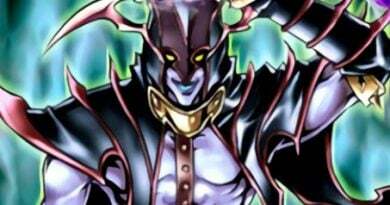 Their monsters’ attack points also often exceed Trickstar Candina’s 1800, or even Trickstar Holly Angel’s usual 2400. Their impressive suite of removal, easy access to Firewall Dragon, and grindier gameplay give them a slight advantage. Playing the matchup from the Pure Trickstar side of the board can be tricky. Because Sky Striker Trickstar’s combos begin with Sky Striker Mecha – Hornet Drones instead of Sky Striker Ace – Raye, the boards they establish are much weaker to Torrential Tribute than Pure Sky Striker’s would be. When boarding for either deck, Shared Ride and Anti-Spell Fragrance are fantastic on the play. Against Pure Trickstar, Evenly Matched does a great job of beating those “set 5, pass” hands without Trickstar Reincarnation. As always, the ever-present Droll & Lock Bird does a fantastic impression of Maxx “C” circa 2015, usually reading “end the turn” once activated. Discounting the mirror, Gouki is the top predator for Sky Striker Trickstar. Since it is unsustainable to play the 18 handtraps Pure Trickstar boasts in its proactive cousin, Gouki occasionally sets up. It doesn’t help that an Knightmare Corruptor Iblee on board turns off efficient Sky Striker Ace – Kagari loops. When boarding, make sure to include a suite of boardwipes alongside The Winged Dragon of Ra – Sphere Mode. Don’t forget to give high priority to Infinite Impermanence, whose immunity from Called by the Grave is extremely important. Pure Trickstar, inversely, has a much easier time dismantling Gouki boards. While co-linked monsters are always at-risk of being destruction immune, Trickstar’s 18 handtraps ensure boards never get insurmountably big. Gouki can also easily run out of fuel, so using Torrential Tribute at opportune moments can be game-endingly strong. When boarding, keep in mind you’ll need to out the one or two monsters they’re left with, so don’t be afraid to keep in reactive traps. Sky Striker Trickstar often feels like the more effective version of Sky Striker. Since most of their removal options are normal spells, locking or baiting out a Sky Striker Mecha – Widow Anchor can just win you the game, as the Trickstar suite is incredibly adept at attacking several times per battle phase. If they have enough spells, an opponent’s Sky Striker Ace – Shizuku is the perfect target for the Firewall Dragon OTK. Its ease of access in Sky Striker Trickstar (using just a Sky Striker Mecha – Hornet Drones and a Trickstar Candina) means that it’s extremely simple to steal victories. Pure Trickstar has a more difficult time with Sky Striker, though it’s not an unwinnable matchup by any means. If Sky Striker starts with Sky Striker Mecha – Hornet Drones, a Torrential Tribute can make quick work of the whole board. Trickstar’s occasional inclusion of Heavy Storm Duster doesn’t hurt either, and can often pop every reactive spell an opponent controls. You’ll almost always know where critical spells are located, after all. Consider keeping in Ghost Ogre & Snow Rabbit despite its general uselessness, as Sky Striker Mecha Modules – Multirole is one of the most consistent ways Sky Striker can establish a winning gamestate. Altergeist has seen better days. A “set five pass” deck trapped in a world where everything destroys traps, Altergeist has trouble against Sky Striker Trickstar. By boarding into Evenly Matched to clear their floodgates and wielding your Trickstar Lightstage activations alongside the additional effects of cards like Sky Striker Maneuver – Afterburners!, you should have a relatively simple time dispatching with this deck. Inversely, Pure Trickstar has a much more difficult time against Altergeist. 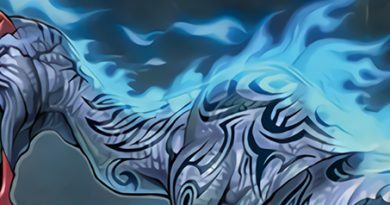 Without the ability to consistently deal damage after the Altergeist player sets their hand, games quickly become long, grindy control-fests. Try to simplify the gamestate as much as possible when playing against Altergeist. To do this, establish a read on the quality of play your opponent is making – if they’re eager to link summon Altergeist Hextia and play aggressively, make sure to use Solemn Strike correctly. You’ll catch many inexperienced Altergeist players trapped in an aggro mindset after their last match against Gouki. If your opponent is measured and careful, don’t be afraid to concede early in an unwinnable game to save time. Post-board, make sure you’ve got all the spell & trap removal you can muster. Both the extremely consistent Sky Striker Trickstar and the ever-resilient Pure Trickstar are definitely the decks to beat in a post YCS Secaucus format. While Sky Striker Trickstar certainly benefited from a format where people weren’t prepared for it, it has been proven to demand attention. 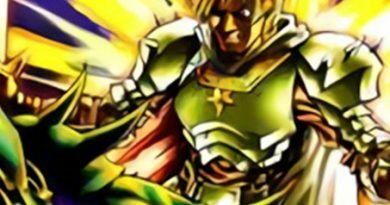 Deckbuilders who fail to account for the power of the hybrid strategy will likely find themselves sighing as the third Sky Striker Mobilize – Engage! of the turn is followed by the second Trickstar Lightstage – and may be signing a match slip soon after.